Social enterprises provide some of the best products available these days. The idea of using their profits to make other people’s lives better is wonderful. Supporting these types of businesses means you’re directly supporting individuals and communities in need. Buy yourself or give your friends and loved ones a gift that keeps on giving. 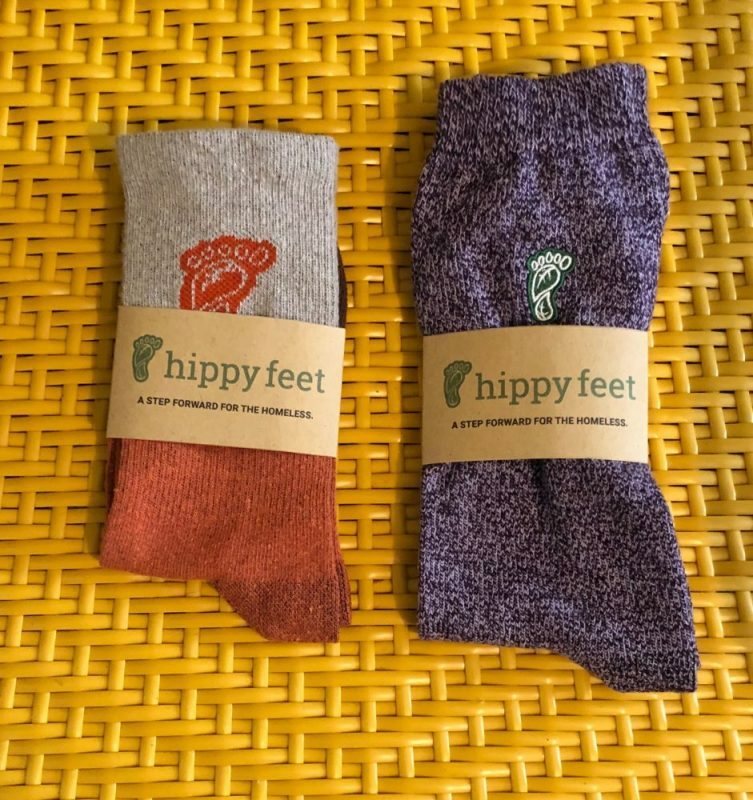 Hippy Feet is a line of socks from a Minneapolis-based Benefit Corporation dedicated to supporting the homeless population. Using a portion of all their proceeds, Hippy Feet provides transitional pop-up employment opportunities to youth experiencing homelessness. They offer basic skill training in inventory management, packaging, shipping and sales. Hippy Feet gives homeless youth an opportunity to transition out of homelessness into the workforce and back on their feet. In addition to employment opportunities, for every pair of socks sold, another pair will be donated to a person-in-need. It was in October 2015 when the idea for Hippy Feet came along. Founder Michael Mader suffered a severe head injury after falling of a longboard. During Michael’s months of recovery, he read about homeless shelters and their desperate need for clean socks. Combining his love for unique fashion and the desire to create social impact, Hippy Feet came together. Michael and his two partners Sam Harper and Madelyn Pung launched in the fall of 2016. 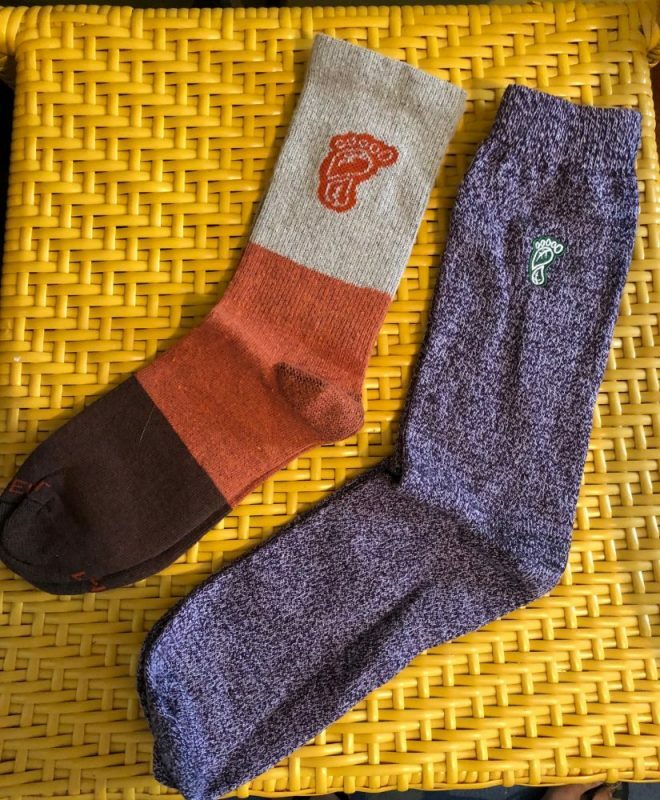 As of October 2018, Hippy Feet has donated over 18,000 pairs of socks through street outreach and their various partner organizations. They have provided jobs to more than 50 young people affected by homelessness and hope to continue these efforts with the largest possible impact. Hippy Feet are proud to have developed partnerships with various organizations and shelters in the Midwest. They are continually working to expand their reach as well. Hippy Feet currently works closely with Youthlink, Women’s Advocates, Elpis Enterprises, Listening House of Saint Paul. They also work with Northlands Rescue Mission, Milwaukee Homeless Veterans Initiative, and more. All products are made in the USA from recycled cotton using environmentally friendly materials. Check out the packaging too! There is a signature of a young homeless person, who was given a job through our packaging process. Previous Post: « 6 Tips To Get The Most Out Of Sunday- Family, Fun and FOOD!